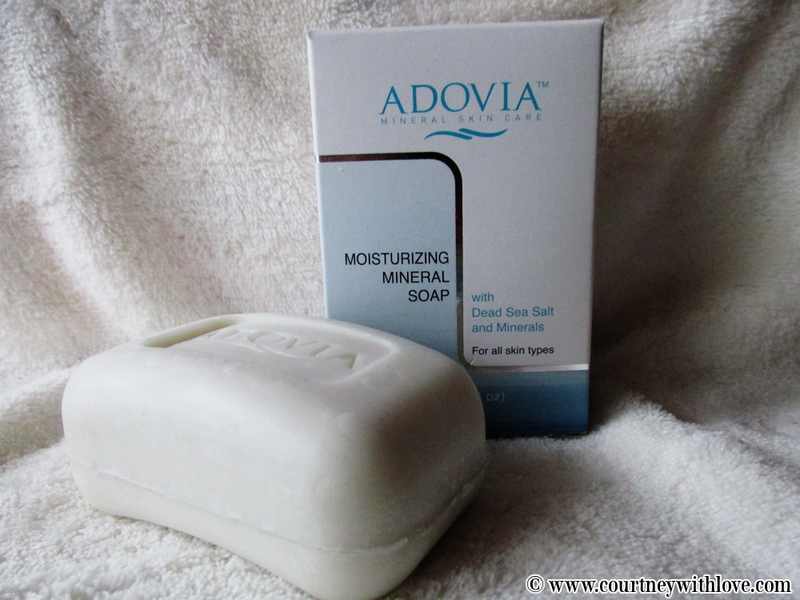 I am a lover of Adovia products, so naturally this Dead Sea Salt Soap is no exception! The soap size is perfect for use on the face, or even in the shower. I like to use mine with a loofah and create a nice lather that way. I have sensitive skin, and I had no issues at all with this. I find that most Adovia products are mild enough and do not cause any irritation. As I mentioned above I use this in the shower on my body, but also as a facial soap as well. It leaves my skin feeling very soft, clean, hydrated and smooth. I like the fact that I can use this soap all over, makes for a better value. The smell is a fragrant clean sort of scent. I find that after I have used the soap, I will have a slight scent left lingering on my skin, which is nice. I can use my perfumes over it, and not have my perfume scent be mixed with my soap scent. I have had absolutely no issues with this soap at all, and it is something I give my recommendation on trying!